Get in Shape for Summer with Wrightsville Beach Parks and Rec! So - how’s it going with those New Year’s resolutions you made to lose weight and get in shape? Although getting outside and improving your fitness level can be tough in the winter, with spring almost here, there are no excuses! Thankfully, the Wrightsville Beach Parks and Recreation Department operates a variety of programs for all ages. From Aerobics to Zumba, you’re sure to find something that sparks your interest. Honestly, you’ll probably be hard-pressed to narrow your choices down to just one! Dance Classes - Both line dancing and shag classes are offered. Either one of these fun choices is a great way to learn, meet new people, and enjoy yourself. Learning these moves is also a wonderful tactic to get ready for upcoming parties, concerts, and weddings. Bridge - If you’ve always wanted to learn, now’s your chance! In addition to learning the game, workshops are offered several times a year that offer tips for how to improve your skills. 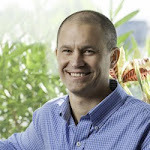 Yoga - Discover which style is right for you-gentle or power yoga, maybe both? Pilates - What an excellent way to get ready for swimsuit season! This class is a sure fire way to increase your flexibility and muscle tone. Zumba - As the WB Parks and Rec website says, “Party yourself into shape with this Latin-inspired dance-fitness program.” Sounds like an effortless and exhilarating way to get fit! The above-mentioned classes are just the tip of the iceberg. So much more is offered, such as flag football, tennis, extreme cross training, and kid’s cooking. Check out the WB Parks & Rec Calendar for more details on this event, including fees, class times, and locations as well as other WB Parks & Rec events scheduled this year. Aside from what is available through the Wrightsville Beach Parks and Rec Department, the park area itself provides a refreshing change of pace for those who prefer exercising alfresco. Walking or jogging around the “The Loop” is an addictive activity. The beauty of that is all you need are your tennis shoes, and perhaps an I-Pod. Those that enjoy a little action on the court may be able to get in on a pick-up game of b-ball. Tennis buffs can use the backboard area to perfect their strokes, take lessons, sign up for the WB Tennis Ladder, or simply enjoy a few impromptu sets. One thing is for sure - with all of these options, improving your fitness level is fun and easy! 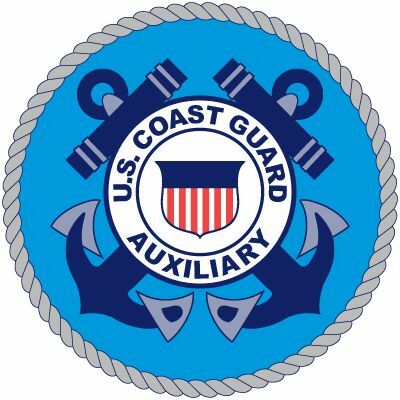 Coast Guard Auxiliary Safe Boating Class a Must for all Boaters! As the longer, warmer days of spring and summer approach, the waterways and channels around Wrightsville Beach will see a proliferation of recreational boaters. While many are well versed in the rules of the road, boating safety, and all things nautical, unfortunately, a significant number are not. Since paddle boarding and kayaking continue to increase in popularity, it is imperative that those operating powerboats use common sense and courtesy when maneuvering their vessels. 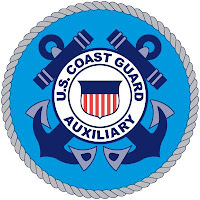 Teaching those points is one of the main objectives of the Coast Guard Auxiliary Boating Skills and Seamanship Class. Within the last few years, a law was passed in N.C. that requires anyone under the age of 26 operating a powerboat to have completed this class. They are then required to carry their Boater Education Card as proof. Additionally, those operating personal watercraft or jet skis must have the class as well. The "About Boating Safety" class will next be offered on April 22. It includes 8 hours of instruction and the textbook-that's Monday and Thursday evening for 2 weeks, from 7pm until 9m. Cost for the class is $35. It will be held at the Fran Russ Recreation Center at 321 Causeway Drive. Other dates scheduled are June 10th and August 5th. TBA - Hopefully, a paddle sports class will be scheduled that will focus on safety and instruction in kayaking, canoeing and other paddle sports. If it is the same format as last year, it will cost $30, and include an instructional booklet, passing certificate and paddle sport vessel identification sticker. For more information, please contact: Andy Cardwell - the USCG Auxiliary Division Flotilla Commander at gacar@ec.rr.com. Condo 3A at The Islander Condos in Wrightsville Beach, N.C. is for sale by Hardee Hunt and Williams real estate company. This three bedroom oceanfront condo is a beautiful end unit with a covered balcony and is being offered at an exceptional price. Wrightsville Beach, N.C., March 2013 -- A beautiful oceanfront condo is for sale in Wrightsville Beach at the The Islander Condos, 1704 North Lumina Avenue (MLS # 487664). Condo 3A is a three bedroom, two bath end unit condo and is being offered at an exceptional price. The Islander amenities include an oceanfront pool, a private beach path, and private tennis. Condo 3A takes advantage of its oceanfront location with an abundance of well placed windows to enjoy ocean views from almost every room. The covered oceanfront balcony has dual sliding glass walls for all season waterfront enjoyment and opens to the oceanfront interior living area. Other features of this unit include a coastal kitchen with beach friendly ceramic tile flooring, hard surface counter tops, and an oversized breakfast bar. The master suite includes an additional private balcony providing westerly water and sunset views over the tidal Lolly Pop. The Islander amenity package, as mentioned above, has a number of special features including the oceanfront pool, private beach path, cabana area, stainless steel grills for outdoor cooking, a private tennis court, an elevator, covered loading and unloading area, secure lobby entrance, and on-site management. An all inclusive, well managed HOA creates the ultimate low maintenance setting for primary, second home, or investment rental use. Hardee Hunt and Williams is a specialty Wrightsville Beach real estate company dedicated to matching buyers and sellers with homes, investment properties, and condos in Wrightsville Beach, Landfall, and Figure Eight Island, North Carolina. To learn more about The Islander oceanfront condo at 1704 North Lumina Avenue, #3A, please visit http://www.theislandercondos.com or take a virtual tour here: http://tours.uniquemediadesign.com/public/vtour/display/98280?idx=1. Contact Hardee Hunt and Williams to schedule a guided tour: 910-256-6998. A favorite activity that residents and visitors have looked forward to for decades are the Easter Sunday Sunrise Services held at Wrightsville Beach. Customarily, several houses of worship pool their resources and join on Easter Sunday at 6:30 am for a traditional service. It is usually held at Beach Access #19, which is at the end of Oxford Street. As Easter draws closer, please check with the local newspapers and church websites for more information. Also be aware that this year, Easter Sunday falls on March 31st. If the weather permits, of course enjoying a day at beautiful Wrightsville Beach is an idyllic way to spend Easter. Make sure to pack a picnic, plenty of sunscreen, those beach toys, and please be aware that as of March 1st, paid parking went into effect. Just think-where else could you have this much fun for only $2 an hour? Hotels and restaurants on the island typically put out an amazing spread for brunch and lunch on Easter Sunday. These special Easter menus only come around once a year. So to ensure you have a place at your favorite table for typical Easter fare such as ham, deviled eggs, fresh roasted asparagus, potato salad, yeast rolls, and lemon pie, get those reservations made as soon as possible! As the holiday approaches, listen out for which locations around the island the Easter Bunny will be visiting. So far this year, an Easter Puppet Theater and an Easter Egg hunt are on the WB Parks and Rec calendar of events for Saturday, March 30th. The times are 9:45 am and 10 am, respectively. 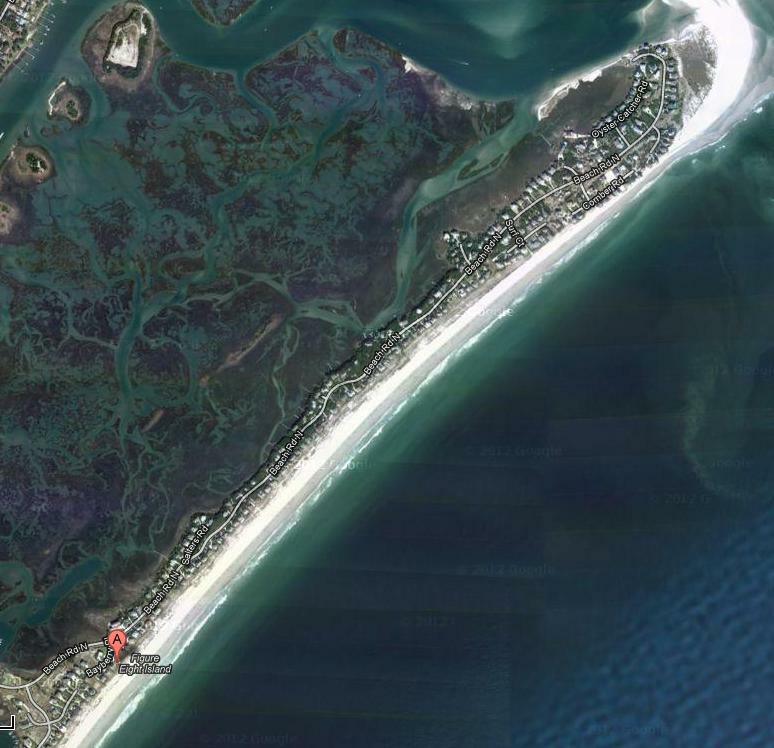 On a clear day, it looks as though Figure Eight Island is just an extension of its neighbor to the south, Wrightsville Beach. Separated only by the sometimes-feisty waters of Mason's Inlet, the gated, private island is actually a world away. Developed in the 1970's, Figure Eight is one of those truly unique places that offers respite from the hectic pace and stress of the mainland. Today there are over 440 homes on the island, yet no commercial businesses exist. It seems that most all of the island's residents and visitors are quite happy with that arrangement! The 1300-acre island and the pristine waters that surround it are home to some of coastal Carolina's most majestic wildlife, including herons, gulls, pelicans, sea turtles, speckled trout, blue crabs, and dolphins. Figure Eight's 5-mile stretch of beach strand is the ideal place for a peaceful walk, picnic, or romp in the sparkling surf. In addition to the usual island pursuits of beachcombing, fishing, surfing, or relaxing with a good book, Figure Eight's Yacht Club also provides a variety of activities during the summer. Residents and guests enjoy fitness classes, pool time, and tennis. Swim lessons and the yacht club's kid's camp are also quite popular. Although Figure Eight is an island, it's not exactly isolated. Several sporting goods outfitters service the island and can offer rentals for beach cruisers, kayaks, SUPs, surfboards, and fishing gear. 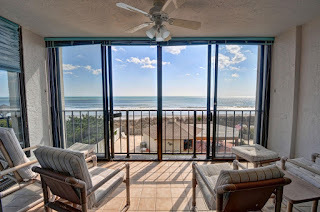 Considering a stay at Figure Eight? It is an unbeatable choice for a family reunion, wedding, romantic getaway, or beach vacation.